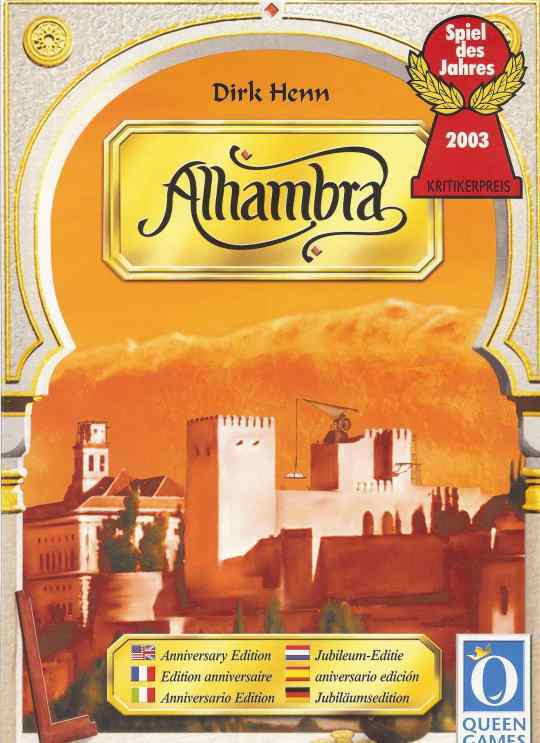 Alhambra Special Anniversary Edition contains the 1st expansion included in the box! 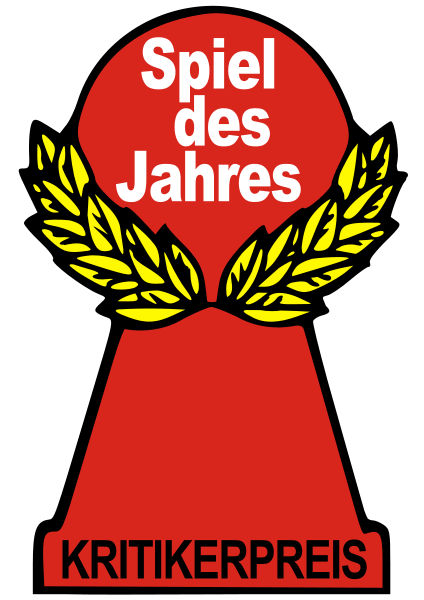 The golden anniversary edition version of the 2003 Spiel des Jahres Winner offers new game material. This includes wooden fountains and an embroidered cloth bag, adding more atmosphere to the game! This is a perfect gift for fans of Alhambra! The material is completely compatible with all the published expansions. Granada, 1278. At the foot of the Sierra Nevada mountains, one of the most exciting and interesting projects of the Spanish Middle Ages begins: the construction of Alhambra. Experience, over the course of the game, determines how the construction of this Spanish wonder takes place. The game is easy to learn: just a few rules and you're ready to play. Each round, you must decide: Do you take a currency note, so that later on you can acquire a valuable piece of the Palace - a Pavilion or a Manor for example? Or do you purchase one of the available Palace pieces to expand your Alhambra? Be careful as you won't receive any change. However, if you can pay the exact amount, you will get another turn immediately! During the scoring rounds, you will receive Victory Points for having the majority of any type of palace piece. But that's not the only way to score points: the longer your City Wall, the more protected your Alhambra will be, earning you additional points. Great for 2 players. Seller's Note: This game is another family favorite. It's easy to play and can be finished in a reasonable amount of time. The mechanics are easy enough for the youngest members of the family to play competitively with the adults and for all to have a great time.